Ambleside on Pringle Bay offers self-catering and overnight accommodation in the lovely village of Pringle Bay, which is only 90 minutes away from Cape Town, making it ideal for a weekend away. Come and enjoy the beach, visit the local restaurants, or simply have a restful nights sleep, waking to the view of the sun peaking over the hill to welcome the new day. Accommodation is offered in a 1 bedroom holiday flat, namely Protea Flat, and a double en-suite overnight room, namely Lavender Room. Protea Flat is equipped for light weight self-catering and includes an open-plan kitchenette, lounge and dining area. It also has wooden deck with expansive views of the mountains and the sea. The Lavender room is a double en-suite room, available on a room-only basis, that contains a bed, cupboard, two chairs, and a tea and coffee tray. 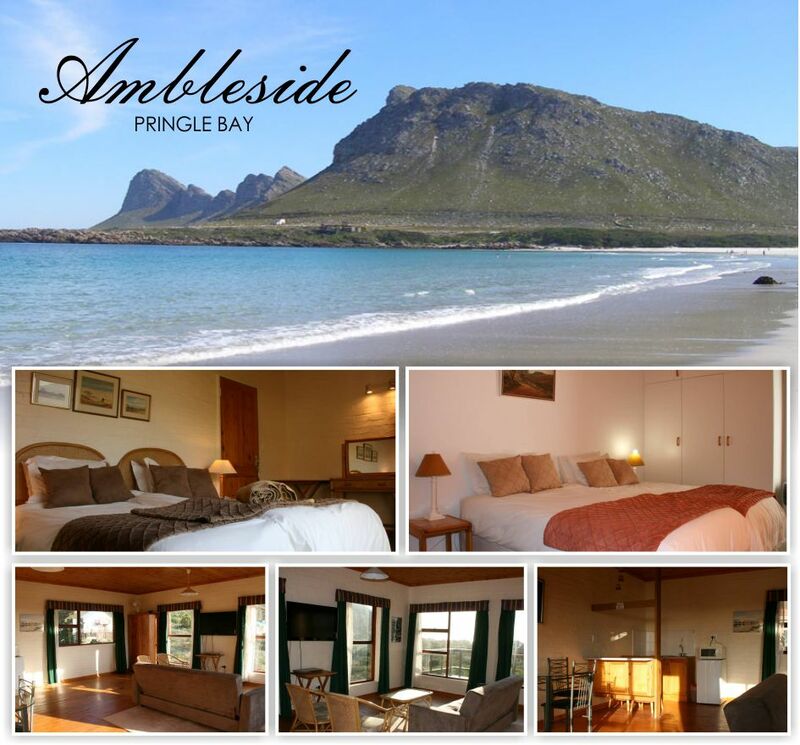 Ambleside on Pringle Bay looks forward to welcoming you to a short or a long term stay in Pringle Bay.